The implementation of GST created a hassle across the country. 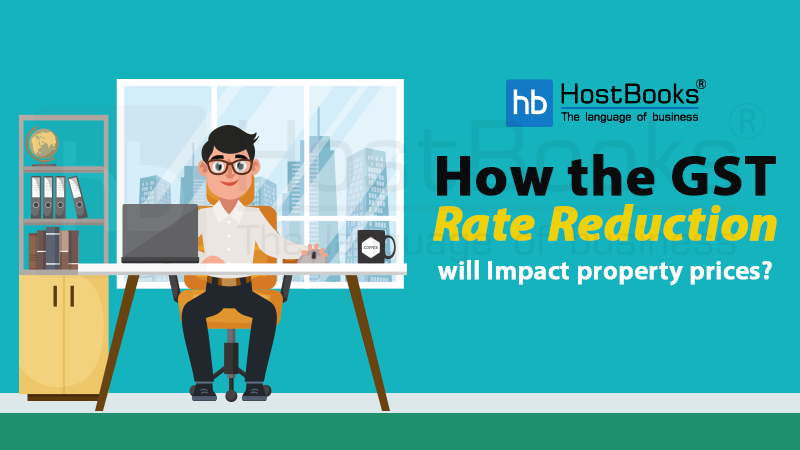 A lot of returns were introduced and needless to say the return filing process further added to the hassle. However, with GST Council Meets being held every month, the Govt. 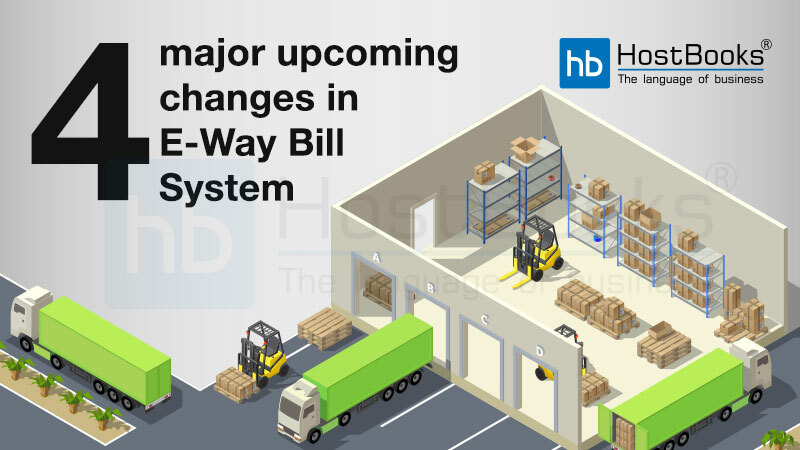 is on its way to make GST easy and convenient for the taxpayers. Speaking of the GST returns, GSTR-3B is considered to be one of the most important returns to be filed under the GST regime. When should GSTR-3B be filed? How to file GSTR-3B step by step on the Govt. Portal? 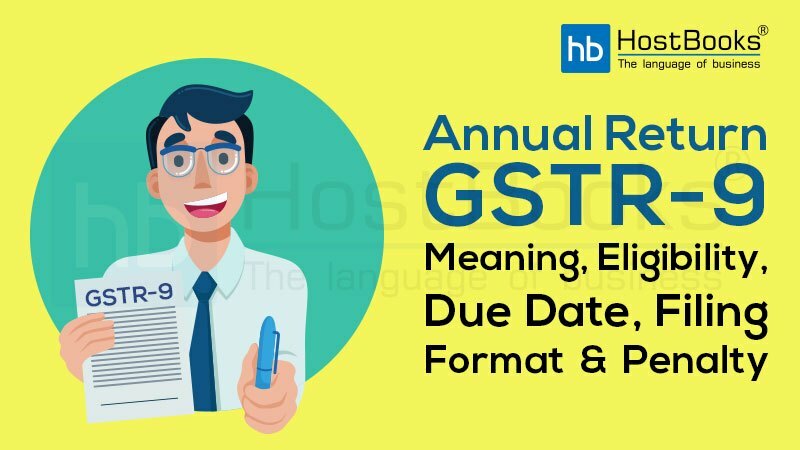 Now, let’s take a look at what is GSTR-3B and why does it hold an important place under the GSTRs. This is a self-declaration that contains a summary of both inward and outward supplies of a taxpayer. If a taxpayer possesses more than one GSTIN, then he needs to file a separate GSTR-3B for each GSTIN. Furthermore, the taxpayer need not furnish invoice level information in the form, the total values for each field should be provided instead. The due date for filing GSTR-3B is 20th of the following month for which the return is being filed. For example, for the month of October, the GSTR-3B will be filed on 20th November, 2018. ₹ 20 per day pf delay for those having NIL tax liability as GSTR-3B is mandatory for NIL returns as well. An interest @18% per annum is charged on the amount of outstanding tax to be paid. However, the late fee for the month of July, August, and September have been waived off. 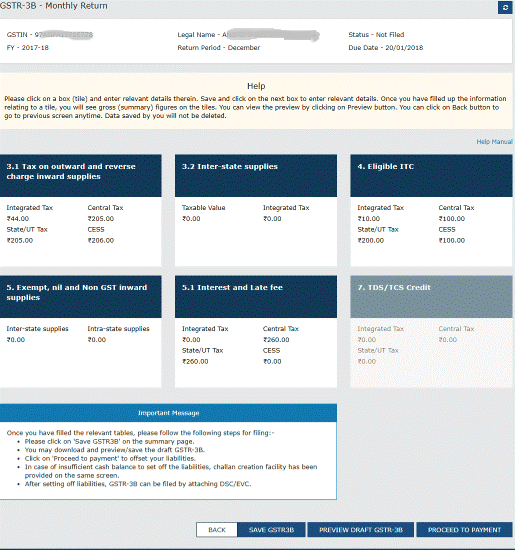 Step 1: Login to the GST Portal (www.gst.gov.in). Step 2: Select ‘Services’ and then select ‘Returns’ and then click on ‘Returns Dashboard’. Step 3: When you click on ‘Returns Dashboard’, a ‘File Returns’ will appear on the screen. Select the relevant ‘Financial Year’ and the ‘Return Filing Period’, from the drop-down list, for which you want to file the return. After that click on ‘Search’. 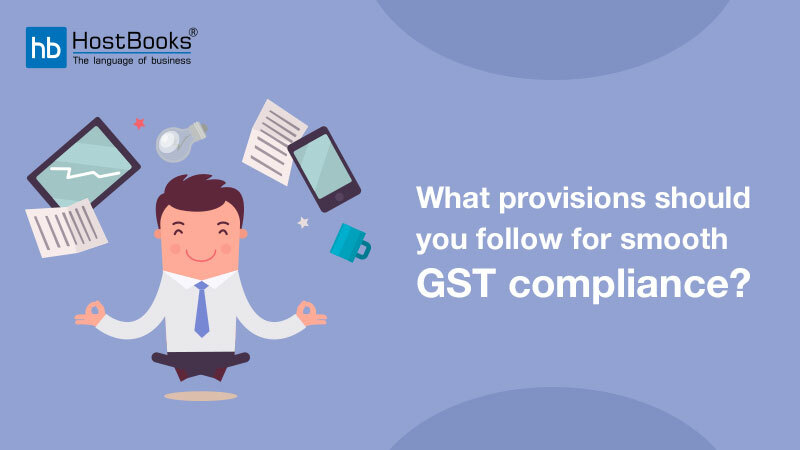 Step 4: in the next step you will see different types of GST Forms. 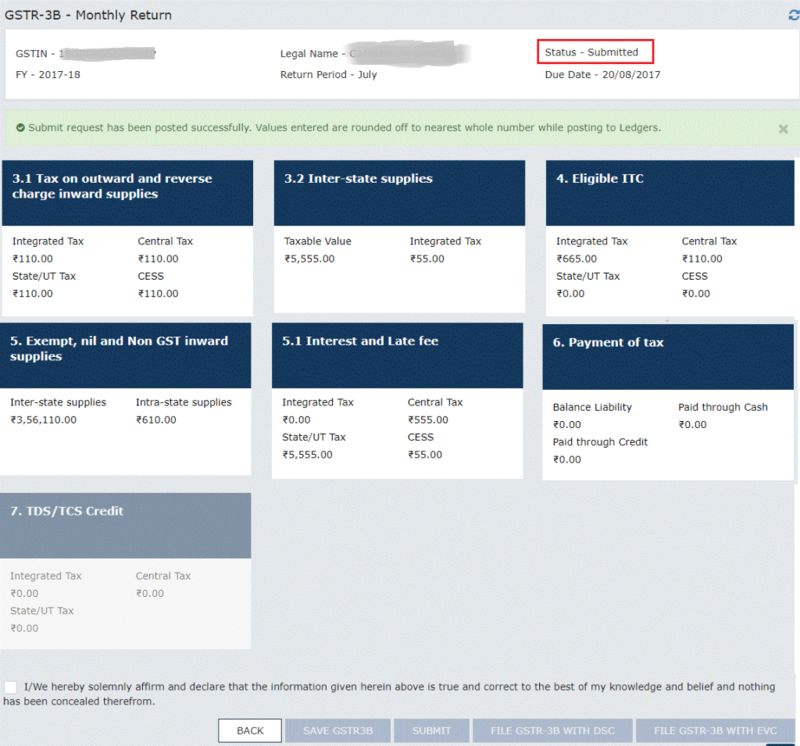 Click the ‘Prepare Online’ button on the ‘Monthly Return GSTR3B’. 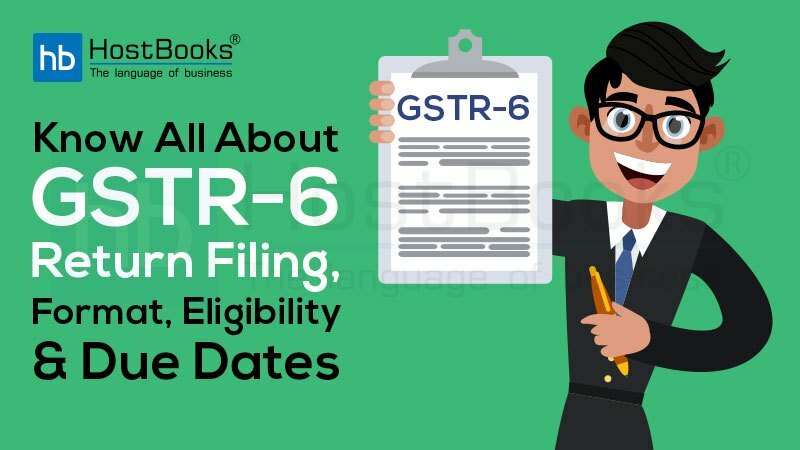 Step 5: Next, you will be re-directed to the GSTR-3B form where you will have to fill in the relevant details like interest and late fees, if applicable. Step 6: You can click on the ‘Save GSTR3B’ if you want to edit the same or you can click on ‘Submit’, once you have entered all the required details in the form. Step 7: Once you click the ‘Submit’ button, a success message will be displayed on the top of the page. However, you cannot change or revise the return once the form is submitted. The status of the GSTR-3B return will then be changed from ‘Not Filed’ to ‘Submitted’. Step 8: After the successful submission of GSTR-3B form, you will notice that the ‘Payment of Tax’ head has been enabled. You can then pay the taxes and offset the tax liability. After you click the ‘Offset Liability’ button you will receive a pop-up message where you will have to click ‘OK’. Step 9: After completing the process of paying taxes and offsetting the tax liability, select the checkbox for declaration and from the ‘Authorized Signatory’ select the authorized signatory. 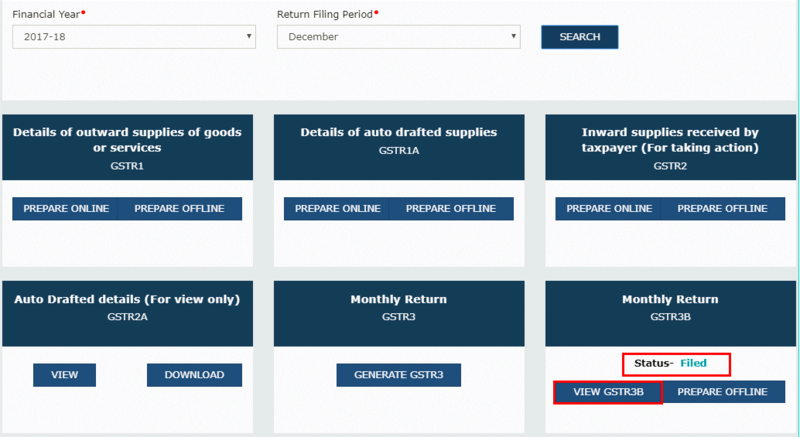 Click on ‘FILE GSTR-3B WITH EVC’ or ‘File GSTR3B WITH DSC’ to begin with return filing. Step 10: A warning message will be displayed on the screen, next click on ‘Proceed’. A message will be displayed on the screen. Click on ‘OK’ to confirm. 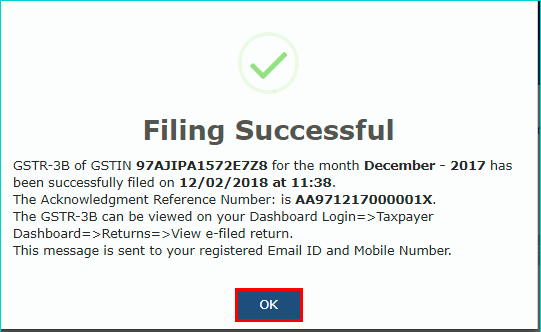 Soon after you click on OK, the status of your GSTR-3B return will change to ‘Filed’. To view your form, click on ‘View GSTR3B’. 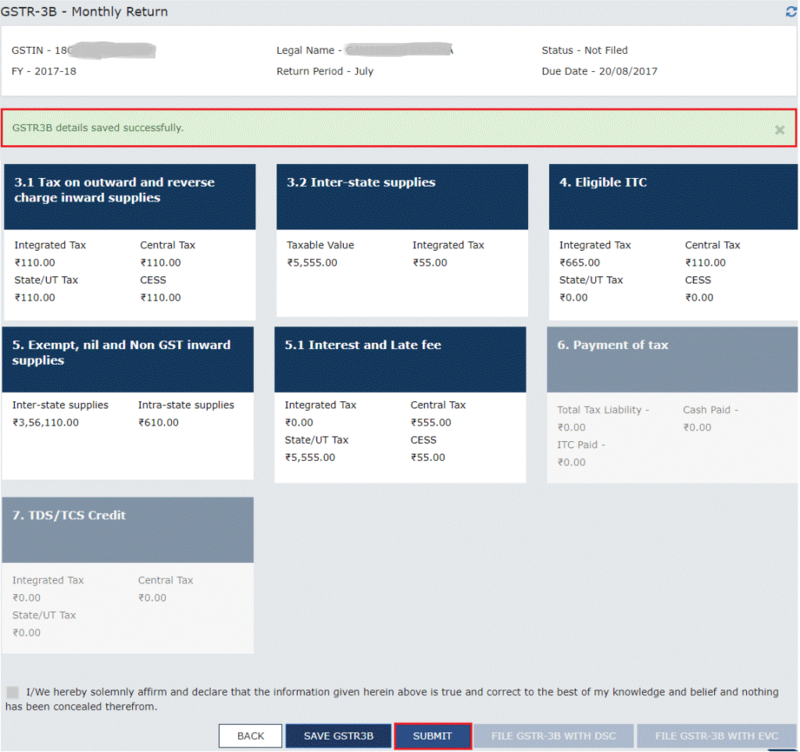 After filing GSTR-3B, the portal, the status of the return will be either “Submitted” or “Filed”. 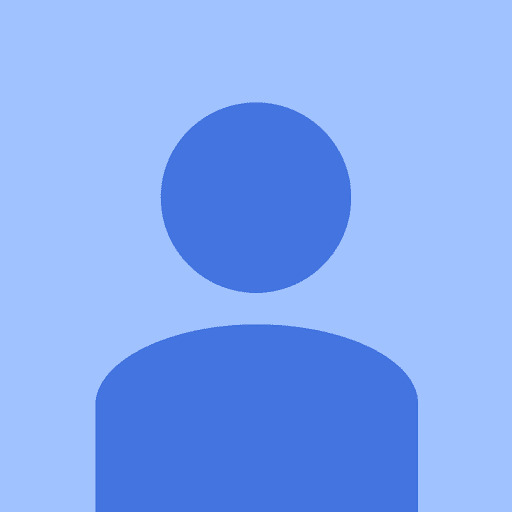 In case the data is filled and the return has been submitted, the status will be “Submitted”. On the other hand, if the return has been filed and the liability is still unpaid, the status will be “Filed”. With so many returns to be filed under the Goods and Services Tax regime, the taxpayer might get confused and hence might also commit certain mistakes. Needless to mention, some of the taxpayers can miss out on filing returns as well. While filing the GST returns, a taxpayer has to be really cautious and the same need to be filed on time as well. This will save the taxpayer from the late fee and penalty. 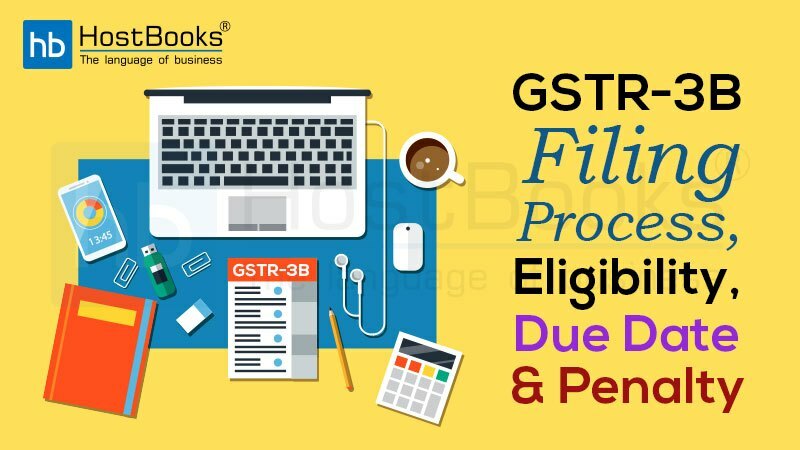 Great information about Gstr3B filing process. It is more helpful step by step.